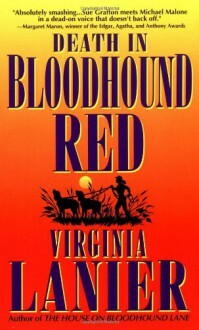 Jo Beth Siddon is a bloodhound trainer with a special talent for harrowing search-and-rescue missions, and a bad habit for mouthing off to deputies who refuse to take orders from a woman.She has seen her share of trouble: moonshiners poking guns at her head, crooked cops, and an abusive ex-husband with a terrible temper. Then she's suspected of murder and finds herself treading a quagmire as thick and treacherous as the Okefenokee Swamp. If she can't prove her innocence, she might lose not only the thriving business she loves, but the freedom and independence she's fought for all her life.